We love fusing European classic desserts with Asian flavors, and Panna Cotta is the perfect Italian dessert. It’s quite flexible to play around with the combination, and it’s one of our favorites — creamy, rich, easy to make, and least expensive to produce. You can get creative with the topping and dress it up nicely. Perfect to serve during dinner parties, as you can make it ahead of time. If you’re a coconut milk lover like me (I can bathe in coconut milk), and anything matcha, this is the perfect marriage. We’re calling it “Extra Green” because we’ve incorporated Sencha green tea in the recipe, adding more depth to the flavor, and a Super Green matcha sauce, because we can’t get enough. Mix the coconut milk, whipping cream in a medium saucepan and set over a medium heat, stirring slowly in a slow-medium heat. Add sugar, vanilla and pinch of salt. Sift the matcha powder and add gently to the mixture. Putting it all at once will cause clumping. 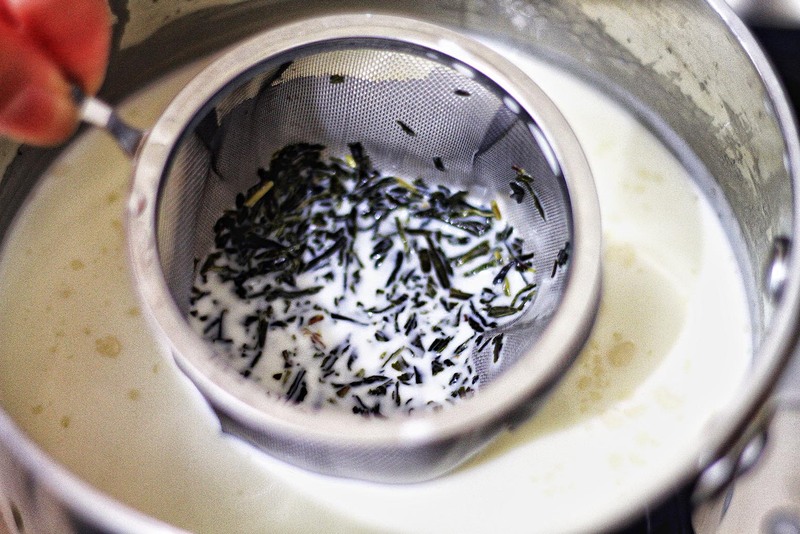 (Optional) In a tea strainer, add the loose-leaf Sencha green tea (or 2 tea bags of green tea) for 5 mins or until the green tea flavor has become more pronounced, and the color has turned light green. This is why we call it “extra green”. Add the gelatin powder, whisking slowly and ensuring all the ingredients have dissolved. Be careful not to boil. Just small bubbles on the surface will do. Taste and adjust accordingly to sweetness. Using a strainer, pour the mixture in dessert ramekins, tea cups or glassware and refrigerate overnight. To make the matcha sauce, mix the matcha, condensed milk and coconut milk together, until everything has been well incorporated into a smooth thick consistency. Adjust to your liking if you prefer a thinner consistency by adding more coconut milk, and or multiply the ingredients x2 to make more sauce. When the Panna Cotta has solidified the next day, add the matcha sauce on top and garnish with fresh fruits. We recommend sifting the matcha using a fine mesh sieve, as it tends to clump when mixed with liquid. This will minimize the small pockets of the tea.